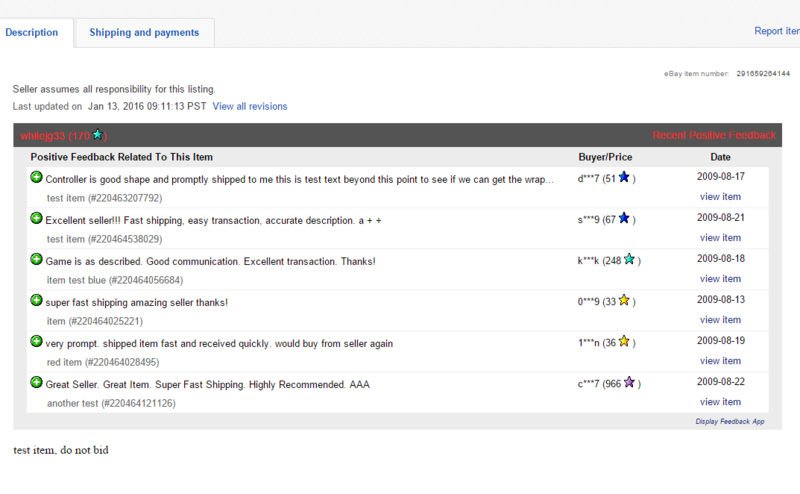 Display your positive feedback directly on your ebay item pages! Get a step-up on your competition by gaining buyer trust as soon as they see the item description! You work hard for your positive feedback, why not make sure potential customers see it? – Gain an advantage over your competitors by displaying positive feedback directly in your item description. 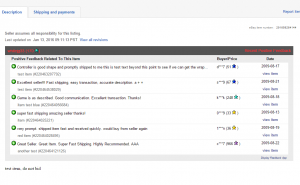 – Display recent positive feedback directly on your item detail pages. 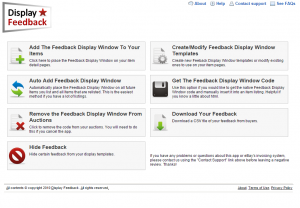 – Feedback Display Window is customizable with different colors, transition type, and transition time. 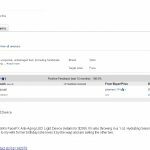 – Set the app to auto add the Feedback Window to all new and relisted items, grab the code and insert it into your auction template, or pick and choose which items to display it on! 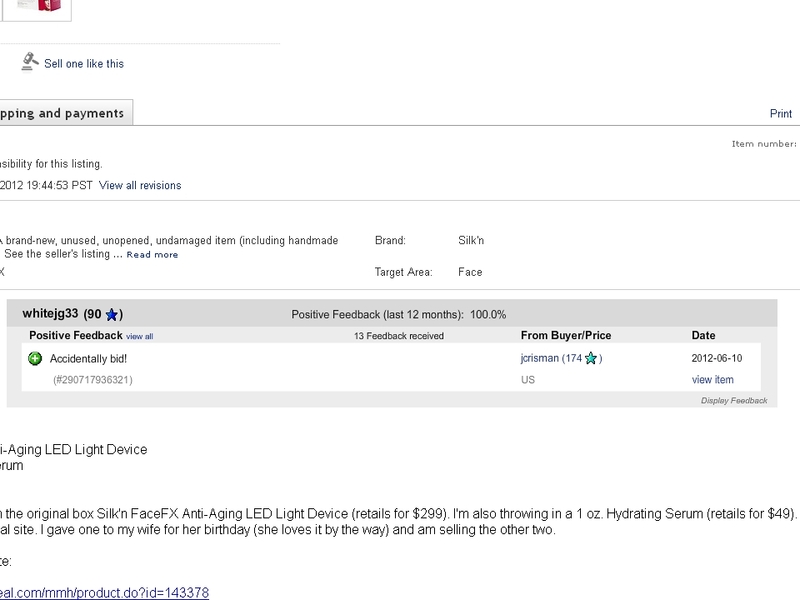 Gain buyer trust, sell more items, and get a step up on your competition buying displaying recent positive feedback directly in the item description. 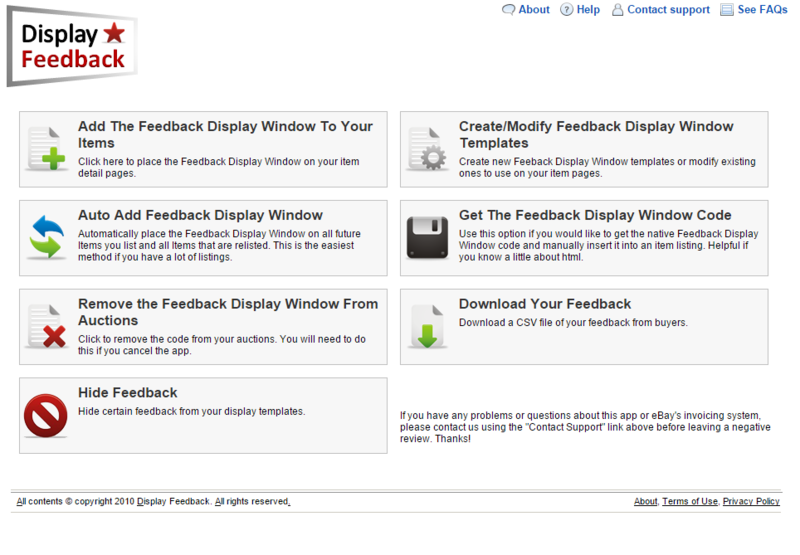 Buyers will appreciate being able to see positive feedback without having to click through to your feedback page.